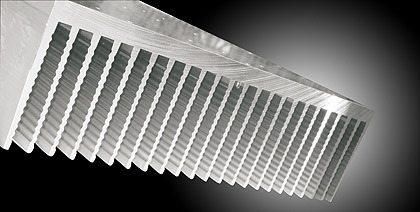 This product line is made from extruded aluminum profiles in bars from 3 – 6 meters in length. Our catalogue consists of over one hundred standard profiles. Our engineers are at customer’s complete disposal to suggest and implement new forms of extruded profiles for each particular requirement, together with a qualified department for the rapid creation of samples.